A perfectly vine-ripened tomato is one of summer's best treats, with its ideal balance of sweetness, acidity and lightly savory notes. 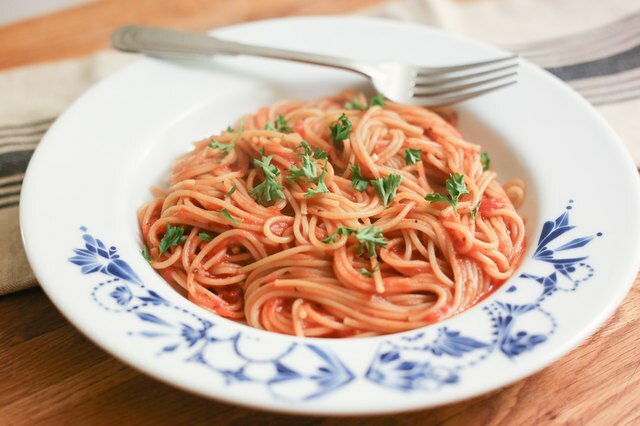 Reproducing that balance in a tomato sauce can be challenging since cooking brings out the acidity in tomatoes. 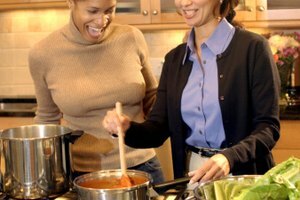 Some cooks add sugar or other sweeteners to tomato sauce to neutralize the acidic bite, and it's a good technique if used sparingly. If you overdo the sugar, though, here's how to dial down the sweetness. 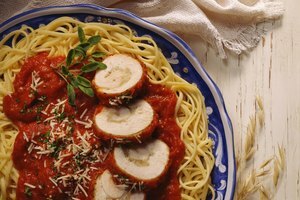 When you've taken any flavoring ingredient one step too far, the simplest and most effective remedy is to add volume to the recipe. 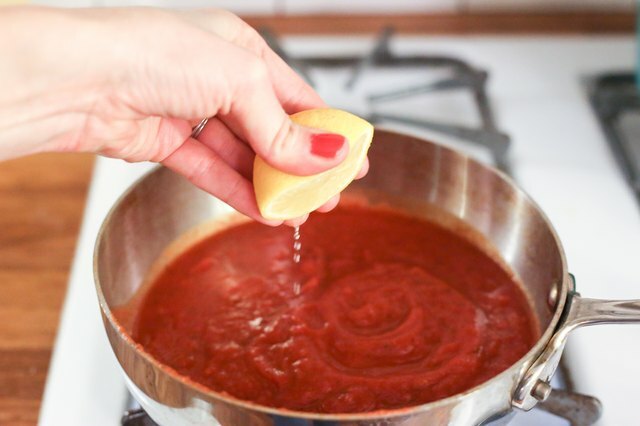 If there's too much sugar for your batch of sauce, increase the amount of sauce until you restore the balance—add more crushed or puréed canned tomatoes. 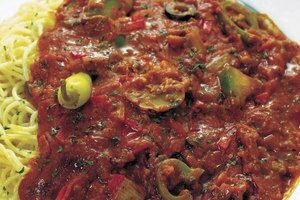 If you're working with fresh tomatoes, chop a few extra and cook them until soft in a separate saucepan. Mash them for a chunky sauce or purée them for a smooth sauce, then add them to the main batch. Taste the sauce and repeat if it's still sweet. The second alternative is to balance the sweetness with added acidity. You can do this exclusively or combine the method with adding volume. A pinch or two of flavorless cream of tartar or citric acid crystals (used to prevent fruit from browning) is often all you'll need. If you have neither of those, add a modest splash of lemon juice or mild vinegar and stir in thoroughly. Taste and repeat until the flavor is bright and balanced. 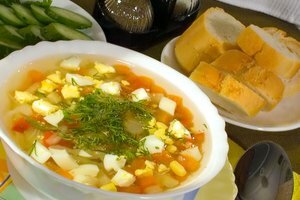 How do I Desweeten a Soup?